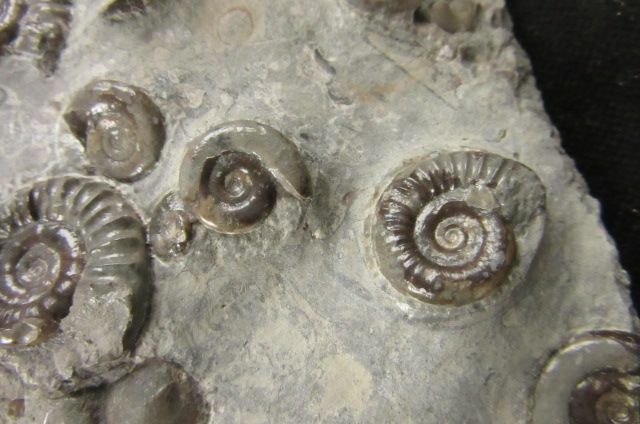 MULTI ARNIOCERAS - JURASSIC YORKSHIRE. 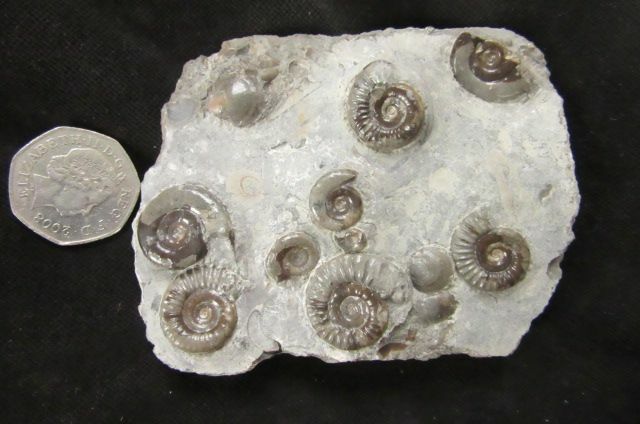 MULTI ARNIOCERAS - JURASSIC, YORKSHIRE. Roughly square piece of grey limestone from a beach pebble. 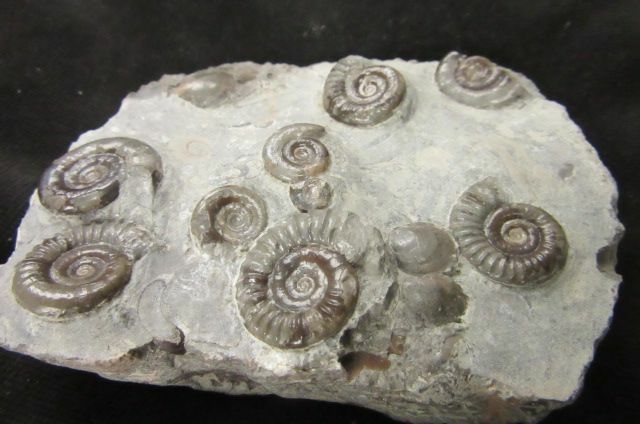 The inner surface shows 8 complete ammonites which have been carefully prepared out. 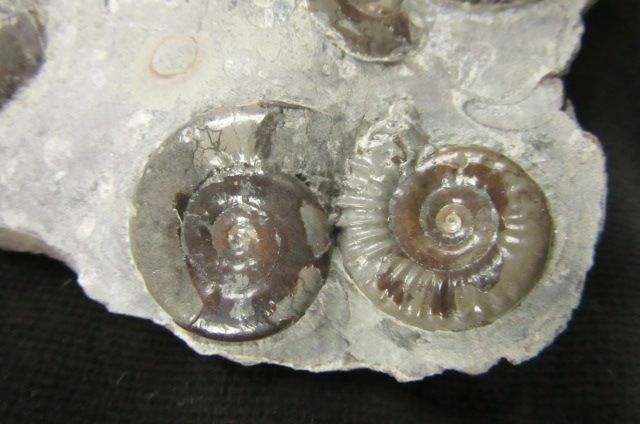 A couple of Bivalves in addition. Neat cabinet / display piece. 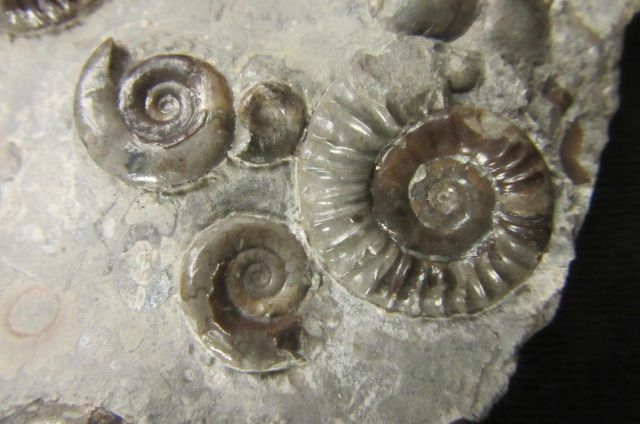 Jurassic Lower Sinemurian, Semicostatum Zone. Matrix : 10 x 8 x 2 cm.